Samsung Electronics Co Ltd unveiled a smartwatch Samsung Galaxy Gear at Berlin. The Galaxy Gear watch has 1.63 inch Super AMOLED display of screen resolution of 320 x 320 pixels . It also has a 1.9 Megapixel camera with BSI Sensor, Auto Focus Camera, Sound & Shot. It is powered by 800 Mhz processor. Watch is design to have basic features like photos, hands-free calls and instant messaging. And Galaxy Gear will be able to connect with Smartphone via Bluetooth Technology. Galaxy Gear doesn’t have a flexible or curved display which was highly rumored on internet. 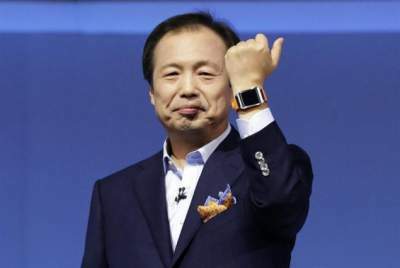 Lee Young-hee Samsung Executive Vice President of Marketing told that It’s a companion device that will keep us constantly connected. The Price of Samsung Galaxy Gear is approx. $ 299.